Generation Zero is a survival shoot-'em-up for one to four players. It should be noted, though, that this certainly isn't a re-skinned DayZ - you won't start to die if you don't sip some toilet water once every three minutes. The thing you have to survive is the creepy silent robots haunting the countryside. You'll start with some pretty basic, rusty old weapons that probably won't make much of a dent in these machines. Everything you do right earns you XP that you can use to level up your character, and every resource gathered might be something you can get creative with to kill a robot. Coming up with interesting new ways to team up and kill robots really is the name of the game here, because some of these things are HUGE and your bullets will just ping off them if you don't come up with something clever to break them. A big part of the draw, though, is the atmosphere. Quiet pervades the Swedish countryside, coating it like a thin blanket of snow. 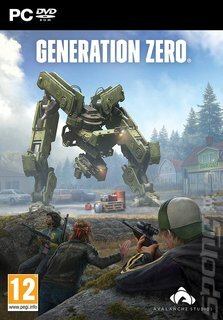 It's eerie and oppressive, and gives Generation Zero a flavour all of its own.